Sustaining Compassion While Experiencing Grief provides a much-needed outlet to help caregiving staff address and learn how to manage grief in an environment of repeated loss. 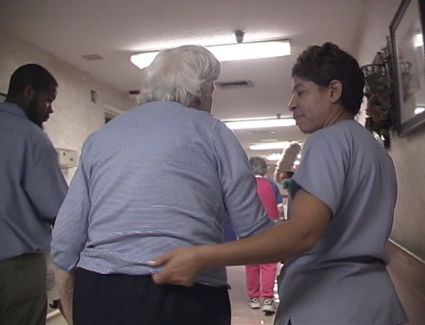 Giving life to the very real concepts of ‘compassion fatigue’ and ‘repetitive grief’, the video looks at the emotional dynamics of caregiving, and will help staff to talk about and work through their grief individually and within a group setting, allowing for better self-care and ultimately, better resident care. In addition to outlining the 4 steps to ‘Healthy Grieving’, the video notes the benefits of staff-only memorial services that enable staff to acknowledge their grief through positive and practical avenues. An ideal resource for staff motivation and morale, as well as, improved resident care!